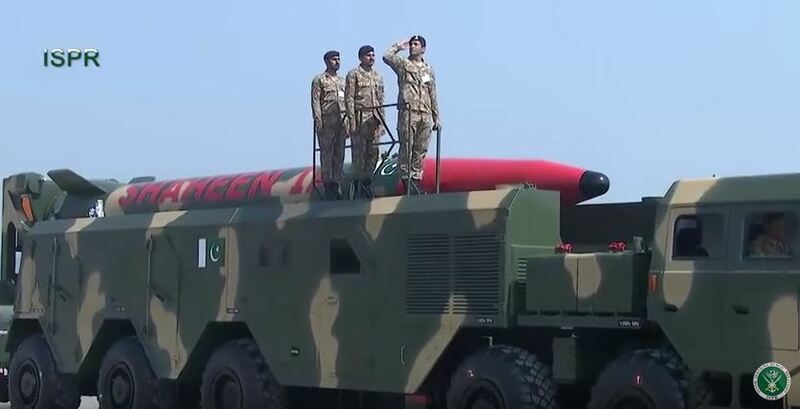 The Shaheen III IRBM. Via Inter Services Public Relations. There’s a discernible trend of ballistic missile proliferation across Asia right now. One of the countries expanding its nuclear-capable arsenal is Pakistan, whose domestic missile program has run unchecked for decades. On March 23 the armed forces held a military parade in Islamabad to mark the 78th anniversary of the Lahore Resolution, an event that paved the way for the country’s total independence in 1946. The highlight of the occasion were the ballistic missiles on their transporter erector launchers (TELs) driving past the country’s leadership. Pakistan’s acquisition of ballistic missiles only began in the last 30 years as its alliance with China grew deeper. Although the armed forces possessed a sizable amount of weapons supplied by the US no technology for assembling battlefield rockets or surface-to-surface missiles was ever transferred to Islamabad. By the 1990s, however, Pakistan bought Chinese clones of Soviet R-17 rockets and then established a facility to assemble these with modifications. What became the Shaheen I was a conventional surface-to-surface missile with a range beyond 700 kilometers. Most analysis concurred that it’s capable of being armed with a nuclear warhead when it first came to the world’s attention in 1999. The two-stage Shaheen II entered service at the turn of the century and was considered a genuine intermediate range ballistic missile that can strike targets up to 1,500 km away form its launch site. It’s recognizable for being longer than its predecessor and having a nose cone shaped like a pencil tip. 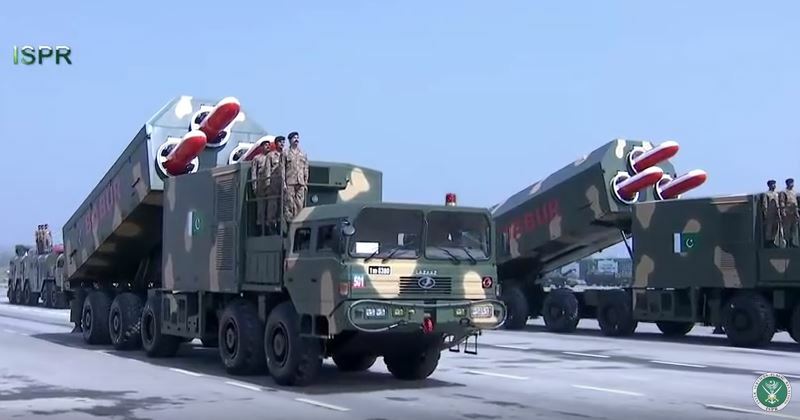 The March 23 parade featured examples of all current missiles deployed by the Pakistan military. This included the Shaheen III that was carried by a 16 wheel TEL. 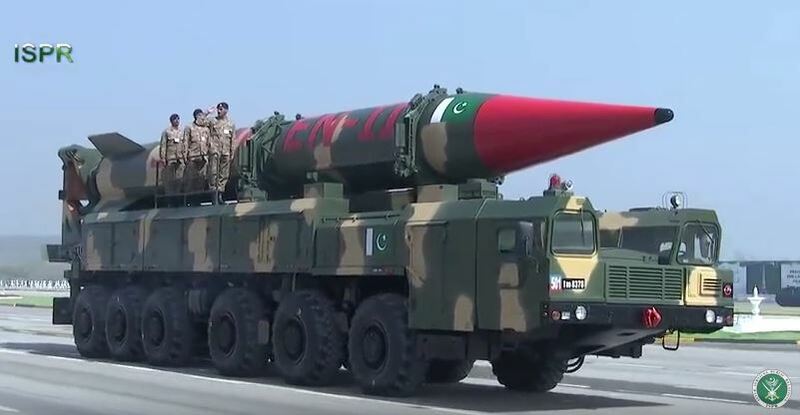 It’s unclear if the Shaheen III is operational since its most well-known test only happened in 2015 and its first public appearance was at the 2016 Pakistan Day parade. The Shaheen III has a range of 2,750 km, allowing it to strike anywhere in India and travel as far as the eastern Mediterranean. Unlike rogue states such as Iran and North Korea, Pakistan’s rapid expansion of its ballistic missile arsenal is being achieved without suffering consequences from other world powers. This has led to a technological renaissance of sorts as smaller and more advanced missile types are being perfected outside the Shaheen program, whose ultimate purpose is to serve as a deterrent to India’s own nuclear strike capability. 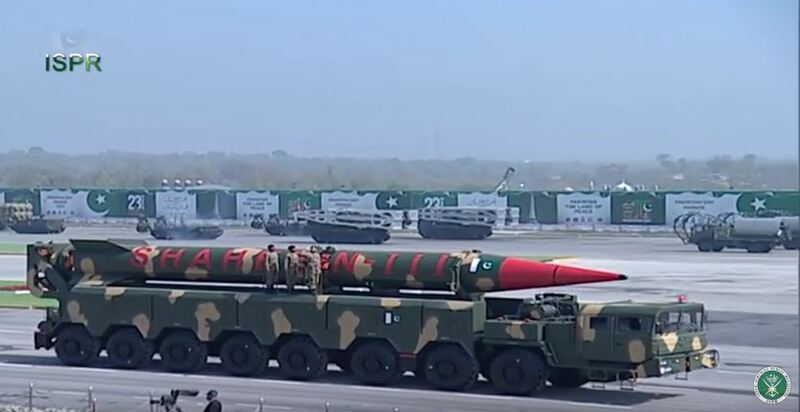 One of the more worrying conventional weapons the Pakistan military did advertise at its latest parade were the road mobile Babur cruise missiles that are being developed into air, ground, and sea variants. The Babur is best described as a precision asset for eliminating India’s innate advantages such as airbases, command centers, and radar installations. And yes, they can be armed with nukes too.